Featuring free WiFi, Hospedaria Boavistense offers accommodation in Odemira. Guests can enjoy the on-site bar. Each room is equipped with a TV. The rooms include a private bathroom. You will find a shared lounge at the property. TEIMA, Alentejo SW is located 6 km from São Teotónio and has an outdoor swimming pool. This modernly decorated B&B is surrounded by nature and all rooms feature a terrace with views to the lush countryside. 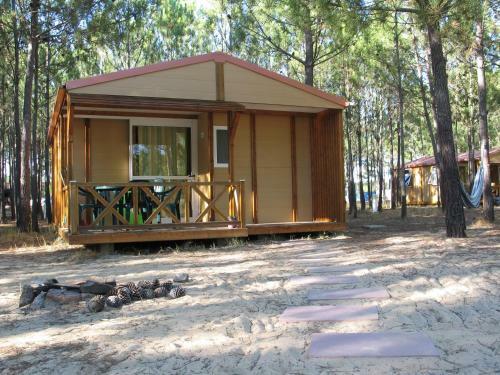 The Parque de Campismo Sao Miguel is located in Southwest Alentejo and Vicentine Coast Natural Park. It offers wooden bungalows and 2 outdoor swimming pools less than 2 minutes’ driving from Odeceixe.